ALPHARETTA, Ga. – Oklahoma State and Oklahoma’s men’s golf teams will wrap up their fall schedules this weekend at the Golf Club of Georgia Collegiate at the Golf Club of Georgia. The second-ranked Cowboys will be one of 15 teams in the field at the par-72, 7,017-yard Lakeside Course. Also among those competing will be top-ranked Texas A&M, No. 6 Georgia Tech, No. 7 Oklahoma and No. 9 Wake Forest. OSU will be in action for the first time since finishing third at the Olympia Fields/Fighting Illini Invitational last month. The Cowboys’ last event, the Paintbrush Invitational, was cancelled due to inclement weather. This weekend’s tournament will get underway on Friday and runs through Sunday with 18 holes being contested each day. Junior Zach Bauchou will be joined in the Cowboy starting five by freshman Matthew Wolff, junior Hayden Wood, sophomore Viktor Hovland and junior Nick Heinen. OSU has won the event once previously, finishing first in 2013 and has produced the individual medalist on one occasion with Trent Leon taking top honors in 2008. OU is back in action after claiming the team title at the Nike Golf Collegiate Invitational on Oct. 1-3. Juniors Brad Dalke and Blaine Hale paced the Sooners, tying for seventh at 205 (-8). The Sooners have finished in the top three as a team in their first three events this year. 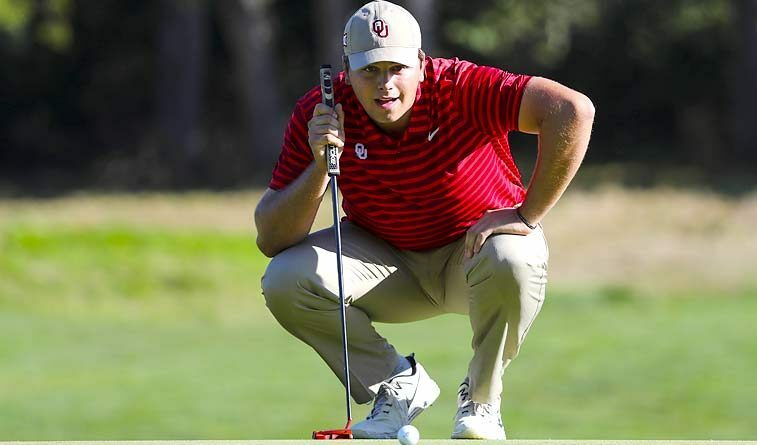 The Sooners’ lineup at the Golf Club of Georgia Collegiate will feature senior Grant Hirschman, Dalke, Hale and sophomores Garett Reband and Riley Casey. The Golf Club of Georgia Collegiate will be played at the par-72, 7,017-yard Golf Club of Georgia course for all three rounds. Fifty-four holes will be played over three days. OU’s tee times for the first round begin Friday at 8:41 a.m. CT on hole No. 10. Friday: Sunny with a high of 79 degrees and light and variable winds. Saturday: Partly cloudy with a high of 76 degrees and wind from the east at 5-10 mph. Sunday: Mostly cloudy with a high of 75 degrees, a 20 percent chance of rain and wind from the east-southeast at 5-10 mph.